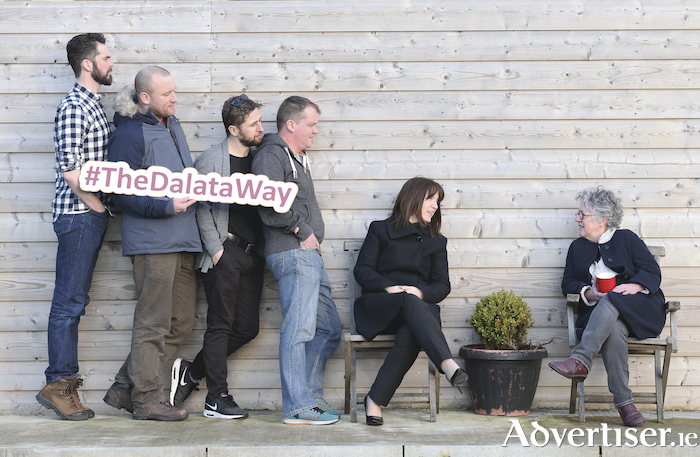 Pictured at the announcement are actors Marty Rea, Aaron Monaghan, Rory Nolan and Garrett Lombard with Patrice Lennon - Head of Sales & Marketing Dalata and Garry Hynes, Artistic Director, Druid. Dalata Hotel Group last week announced a new three year patronage with Druid Theatre company. The patronage will see Dalata support the Druid from 2018 to 2021, inclusive. The group said that this is an exciting opportunity to support the very best of indigenous Irish artistic talent and the funding will help Druid in continuing to deliver internationally acclaimed theatrical productions. As the first professional Irish theatre company based outside Dublin, Druid is a registered charity and relies on philanthropy and public support. Dalata acknowledges the importance and reliance of philanthropic support for the success of independent theatre companies and the role private enterprise plays in the promotion of Irish arts and culture. Druid’s production of Sive by John B. Keane is currently running in the Gaiety Theatre, Dublin and the company are preparing for a national and international tour of their acclaimed production of Waiting for Godot by Samuel Beckett. Pat McCann, CEO of Dalata said they are delighted to be embarking on a new relationship with Druid. “Like Dalata, Druid is a company with Irish roots and immense ambition. From humble beginnings and a passion for Irish arts, Druid has become an international success story and one which we are delighted to support. “This partnership is symbolic for us as we recognise the importance of engagement between business and community,” he said. Garry Hynes, Artistic Director of Druid said they are thrilled to welcome Dalata as a patron for the next three years. “Druid relies on the generous support of the community and Dalata’s support is an important step in ensuring that we can continue to bring Irish theatre to the world,” she said.